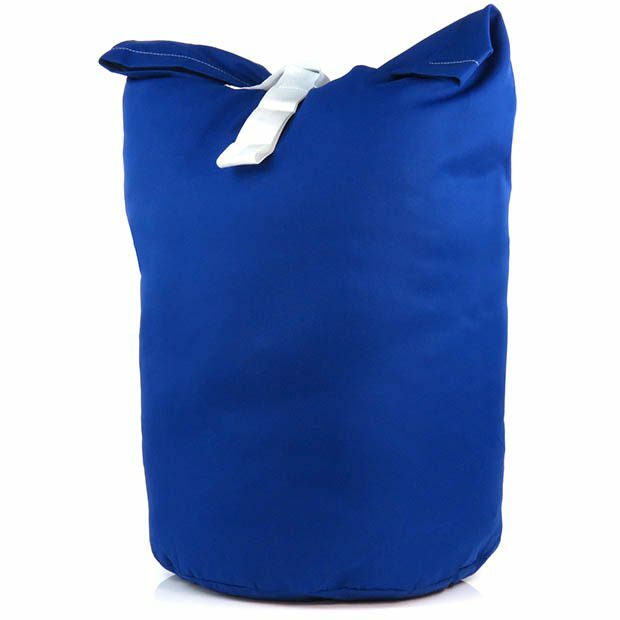 Strong breathable blue material with Easy Fasten handles. Ideal for storage or travel. Unique quick fasten handles - simply thread strengthened loop handle through top loop and pull and the bag securely fastened! Additional white carry loop on base for easy emptying. As used by laundries and bedding hire companies. Size: Height x Diameter 81cm x 43cm (32" x 17") approx.